PLANS for Santa to appear at Erneside have had to be shelved because of social media complaints that his arrival clashes with Remembrance Day in Enniskillen. Fr Christmas and his reindeers were due to arrive at the centre this Sunday, however when this was announced at the weekend it was branded as “disgraceful” and “totally wrong” by Facebook users, angered the event was taking place on Remembrance Sunday. Such was the reaction, Erneside had to reschedule the arrival, which will now take place on Friday, November 23rd. Santa and his reindeers had arrived at the centre on Remembrance Sunday for the past two years. This year marks the 100 years since the end of World War I, which was the focus of many of the angry comments. 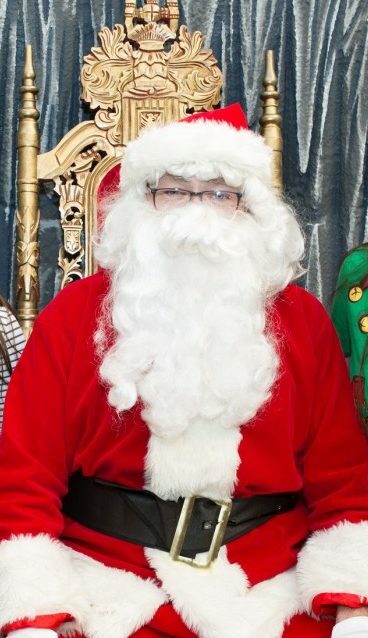 “This was not a decision made lightly and was made following several requests from customers to move Santa’s arrival from the Saturday to the Sunday so that it could be less rushed and a more relaxing family day focused on their children’s enjoyment,” said a spokesman. They said in previous years, including last year on the 30th anniversary of the Enniskillen bomb, the centre had consulted the local British Legion. “On both occasions we were assured that as the events occur at different times, in separate locations, and that Santa’s arrival was a fun day for the family to share together, there was no reason not to go ahead with the event. “This year we have spoken with John Jones, chairman of the Enniskillen British Legion, who stated he had no objection to Santa’s arrival on Remembrance Sunday. The spokesman added the centre wanted to be mindful and respectful of everyone’s wishes.